All homes currently listed for sale in the zip code 92131 as of 04/22/2019 are shown below. You can change the search criteria at any time by pressing the 'Change Search' button below. "Buyers, bring your agents and see this beautiful Mediterranean Model home by Shea, located on one of the most-prestigious lots at Stonebridge Estates with breathtaking views of mountains, valleys and evening lights. The floor plan of this beautifully designed home offers 5 bedrooms (each with its own bath) including a large guest suite on the first level (with separate entry), and a sumptuous master bedroom with views, balcony, fireplace, seating retreat and lavish, his & her baths! Luxurious up"
"Exquisitely upgraded, this magnificent former model home showcases endless style throughout. Located on a double cul-de-sac street w/ amazing neighbors all around. Grand entry w/ soaring vaulted ceiling; this open floor plan features custom lighting, built-ins & hardwood floors throughout. Immaculate gourmet kitchen features beautiful white granite & opens to living room. California doors open to outdoor kitchen w/fireplace, stunning saltwater pool/spa & panoramic mountain views an entert"
"This elegant Tuscan farmhouse style estate w/ beautiful curb appeal is located on a double cul-de-sac street w/ amazing neighbors all around. Grand entry w/ 2-story foyer, stunning hardwood throughout to immaculate gourmet kitchen & open concept family room. 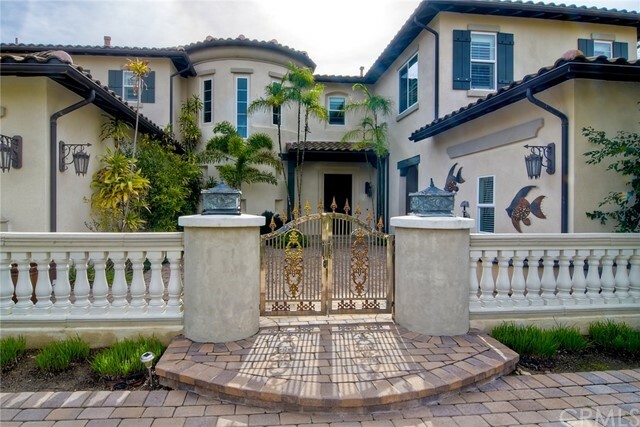 California doors open to outdoor kitchen & lush tropical landscaping, stunning saltwater pool/spa - entertainer s delight! The Master Retreat offers walk-in closet, secluded balcony, and luxurious spa bath overlooking serene back yard w"
"Stunning Stonebridge Estates home on cul de sac with mountain views. Spacious master suite located on the first floor with 2 en suite secondary bedrooms. Formal living room, dining room and office. Second floor has 2 bedrooms and additional bonus room and bathroom. Highly upgraded home throughout with pool/spa, built in BBQ unit with Palapa, wood floors, custom built-ins, wood beam ceilings & folding glass accordion doors in the Great Room that lead to the outdoor California room. 4-car garage. " "Situated in a prestigious neighborhood of Stonebridge Estates, this home boasts an office with double glass doors, a downstairs master suite with a walk in closet, an ensuite master bedroom, a formal dining room with wrap around staircase, a robust kitchen with an island where the entire family can gather around, beautiful plantation shutters in the family room and office, and a low maintenance backyard lined with palm trees, a water fountain and stone flooring. And solar for the low energy cos"
"RARE OPPORTUNITY! A HIGHLY SOUGHT AFTER FLOORPLAN THAT IS RARELY ON THE MARKET. Hello! My name is 11384 Caspian Place. I am the epitome of a luxury home that is jaw-dropping, yet still very homey for you to create amazing family memories. I boast 6BR & 5.5BA including an inviting detached casita equipped w/kitchenette, full bath & walk-in closet! I also feature a beautifully manicured private park-sized backyard w/Japanese cherry blossoms, fire-pit, bbq, stucco patio & a newly built gazebo. See "
"Beautiful single story home located in Stonebridge Estates and situated on a private lot. This home is open and welcoming with 11.5 foot ceilings, wood beam ceilings and 2 cozy fireplaces in the living area and family room. The gourmet kitchen is equipped with Kitchenaid stainless steel appliances, dual oven, warming drawer, Sub-Zero wine fridge and large island. Additional features include OWNED solar, dual 2 car garage, tankless water heater, central vac system and security system. See Supp Rm"
"Pristine oasis in acclaimed Stonebridge Estates is waiting for you. Highly upgraded home features coffered ceiling in formal living room, large gourmet kitchen with breakfast area, 8-burner stove & wine bar. Office or full guest suite downstairs. Entertain in the private courtyard with peaceful fountain or fully enjoy your spacious backyard featuring hot tub, putting green, fountain & built-in BBQ area with bar. Huge master suite with spa-like bathroom & private balcony makes a perfect couples r"
"Beautiful one of a kind custom home located South of Pomerado. On large .70 acre lot situated in park-like settings - enjoy panoramic tree-filled views all around! Additional granny suite on lower level of property w/separate entrance. Fully remodeled gourmet kitchen w/high end appliances & counters. Remodeled master suite features additional retreat, fireplace & upgraded bath. Hardwood flooring, new sod & landscaping, freshly painted throughout. Access to Whispering Ridge Swim & Tennis Cl"
"VIEWS FOR DAYS!! Single Level European-Inspired Architectural Design inside and out offers Sophisticated Living at it's Best. Breathtaking Panoramic Mountain and Ocean Views from the Backyard, along with Gorgeous Westerly Facing Views from Kitchen, Living and Dining Rooms, Master and Master Bath. With an Oversized 0.29 acre lot full of Lush Landscaping and Useable Space to Entertain. $125k Worth of Upgrades including PAID SOLAR, Immaculate Wood Flooring Throughout, Landscaping and Custom Cabinet"
"Rarely available 5 BR/5.5 BA with Casita/Granny Flat in Stonebridge Estates situated on premium 0.38 acre lot. Open floor plan with crown molding, plantation shutters, soaring ceilings, and hardwood & travertine floors throughout downstairs. Gourmet kitchen with large granite island, S/S appliances, and large pantry. Upstairs master bedroom with 2 additional junior master suites on each floor. Serene backyard with Zen Garden, putting green, gazebo, and mature exotic fruit trees. Poway School Dis"
"Priced at 1,350,000-1,390,000. Gorgeous 7 bedroom, 4.5 bath in a private cul-de sac. Highly sought after Stonebridge Estates Community. Many upgrades include beautiful kitchen, solar, 220v electric car charger, reverse osmosis water system, tank-less water heater and more." 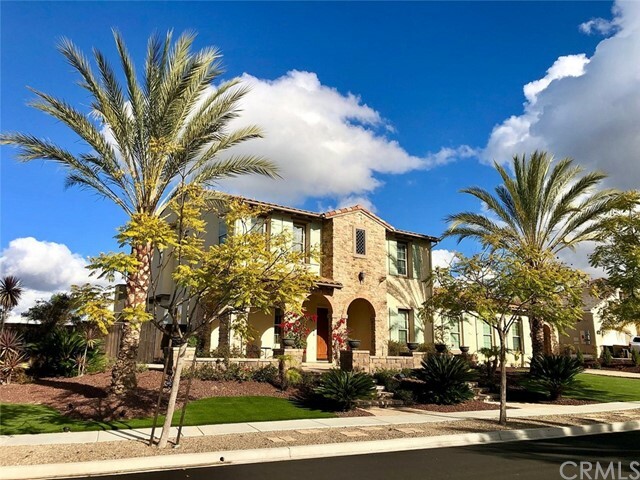 "Located in a peaceful cul-de-sac, this stunning Scripps Highlands 4BR+Office,4.5BA home offers a spacious 3,981 SF floorplan with a soaring entryway, grand staircase and gourmet kitchen. The second story includes a master suite with dual walk-in closets, 2 additional BR with a dual bath, an office with bath and loft. The home has a 3 car garage, a backyard offering a pool, spa and a BBQ island. No Mello Roos, low HOA & Solar! Close to award-winning schools, shopping, dining, and easy freeway acc"
"Exceptional Mediterranean-style Terraza home in Scripps Ranch on oversized cul-de-sac lot w/open space between you & your neighbor! This spacious Plan 2 Venician has a full bed/bath downstairs. The entryway w/travertine tile & soaring ceilings leads into the living room which currently makes a great game room! The kitchen features granite slab counter/island & stainless appliances as well as breakfast nook. Kitchen opens to the family room. Family room boasts a fireplace and built-in entertainme"
"This stunning home is located in the desirable neighborhood of Stonebridge Estates! Upon entry you are greeted by a formal living room with fireplace and beautiful shutters, the dining room is open and elegant. Excellent space to enjoy a good book on a Saturday afternoon. Continue to the great room, kitchen and breakfast nook. This gorgeous chefs kitchen has stainless steel appliances, granite counter tops, spacious walk in pantry, double oven and 6 range gas stove top!" "This spacious San Lucena home is nestled in a cul-de-sac and boasts peaceful views of surrounding hills, evening lights and dazzling sunsets. Offering five bedrooms plus a master retreat and large bonus room, this home is highly customizable for your personal needs. One bedroom (configured as office/den with no closet) and full bath are conveniently located downstairs. Large eat-in kitchen with granite and double oven, fresh interior paint, 3-car garage, A/C and more! **See Supplement**"
"Beautifully maintained two-story executive home with attached three-car garage located within the highly sought after community of Stonebridge Estates in Scripps Ranch. This amazing property is an entertainer s delight boasting an open floor plan with neutral paint and trim, recessed lighting, three cozy fireplaces, a central vacuum, leased solar, and beautiful travertine and hardwood flooring throughout the main living areas of the home."